Hey There! It's Artist Team Challenge time again! You should have just come from Roni's Blog along the Hop! This month's kit at Club Scrap is called Shades of Winter and I absolutely LOVE it! It's so gorgeous with images of snowflakes and winter berries, ice and shimmer! 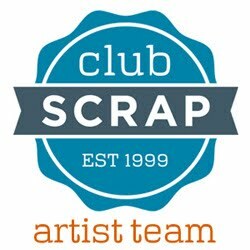 The Artist Team was tasked with participating in the challenges on the Club Scrap Forum. Every month different challenges are hosted by members. So fun! The forum is also a great place to meet fellow paper crafters and learn about techniques, scrap book layouts...too much to even list! You should definitely check it out! I made 3 cards for 2 different challenges. 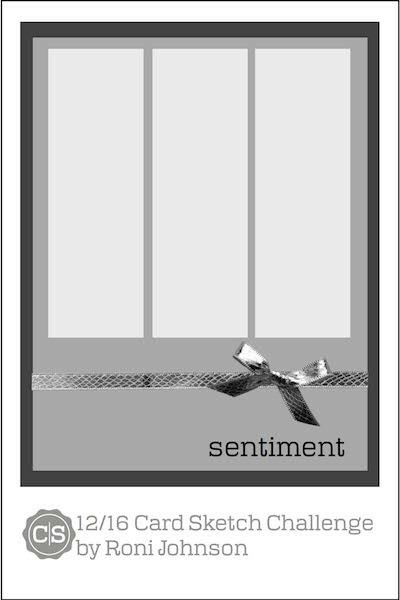 The first card is for the Sketch Challenge. I followed the sketch pretty closely-I just made a landscape card. I used the sparkly blue paper from the kit and made a tiny bow. I love how it came out! 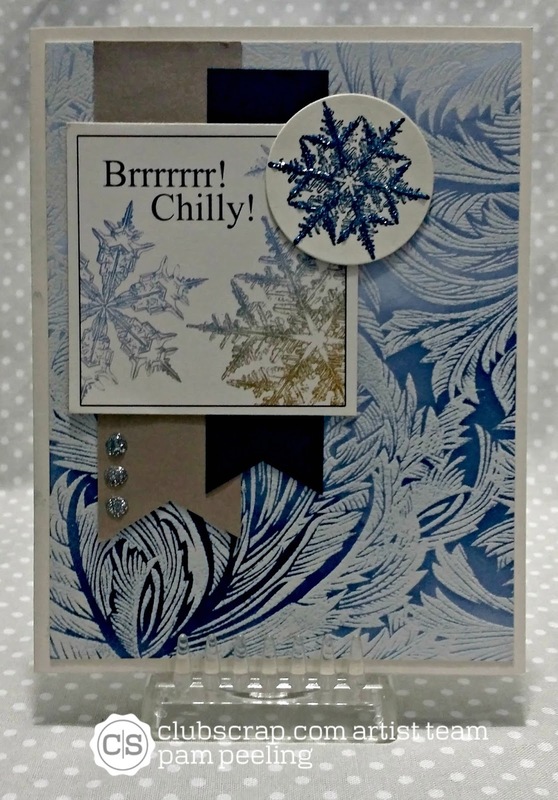 The next 2 cards are for the Tool and Stash challenge-liquid sparkle. Did I mention how I love this kit?! 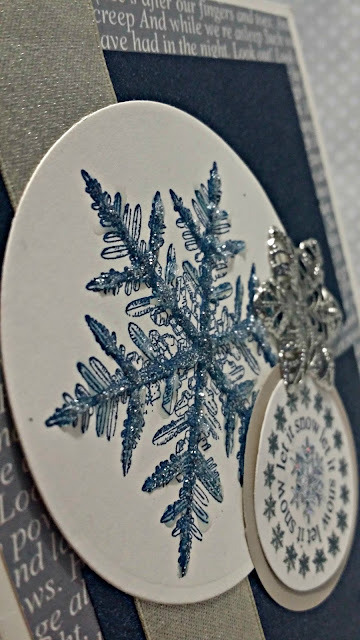 Such great papers and those snowflake stamp images!!! 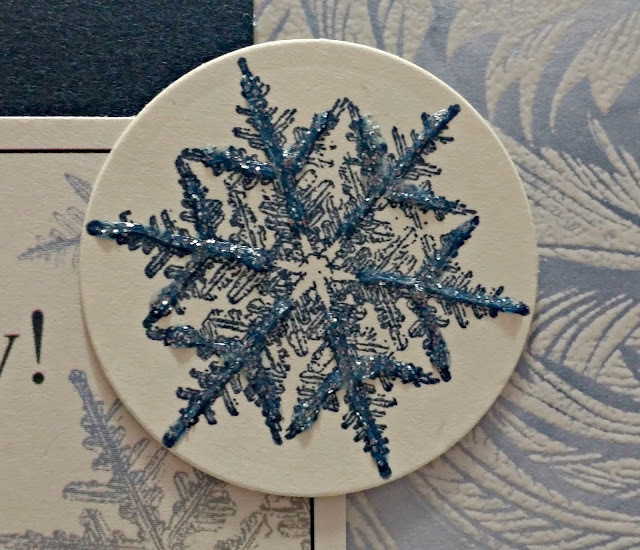 I added my liquid sparkle to the snowflake. 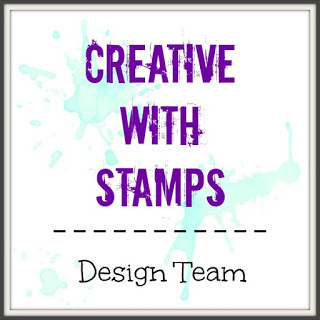 I stamped in blue ink and then went over some of the image with silver puffy paint! It gives it a 3D texture and is very glittery! LOVE! I also added 3 dots on the card with the puffy paint. I did the same thing with this smaller stamped image and for the 3 little dots as well. The detail in the snowflake unmounted rubber stamps is amazing!!! For the background of this card I used the raised print paper that comes with the deluxe kit. I used a makeup sponge and dabbed the ink onto the paper. I applied the ink darker in some places to give dimension. The excess ink rubs right of the raised part. The next stop on your blog hop journey is Jennifer! on the first card, way to think outside the box. Have a great Christmas! Gorgeous cards Pam!!! 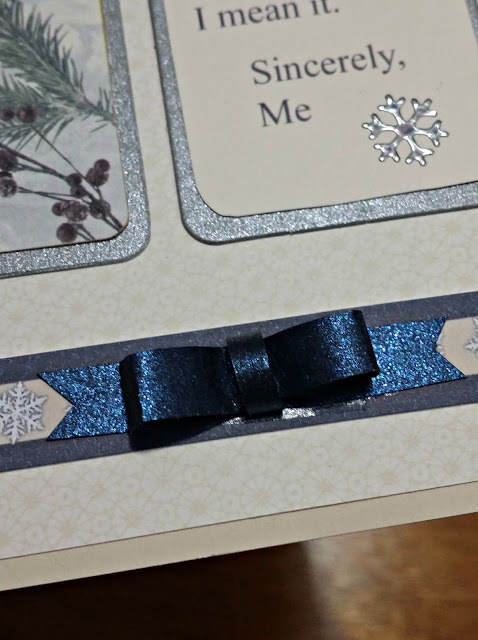 Love the sparkles, and your sweet bow made from the shimmery blue text card stock, its gorgeous as is all your cards! Pam, stunning display of cards with this kit!! Love every one of them. Gorgeous selection of cards! The raised print is my fave, too...love inking it! 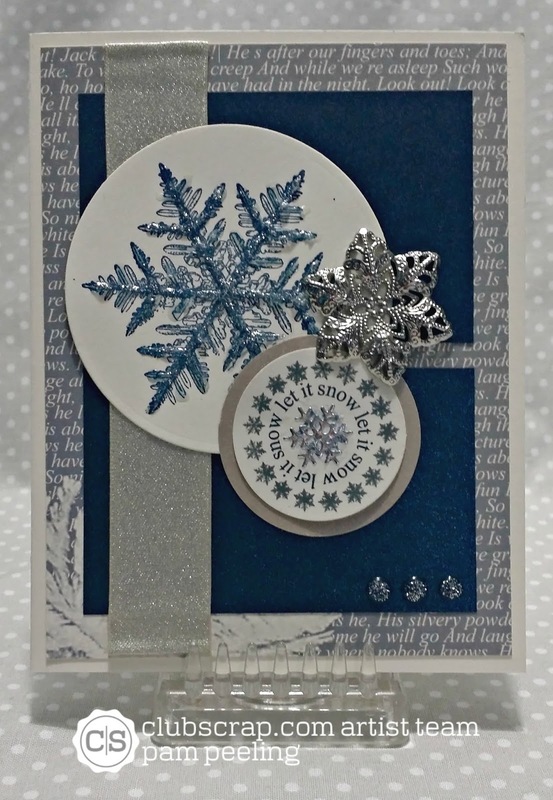 Wow, Pam, all your cards are absolotely gorgeous and well done on the challenges. Super pretty cards- the sparkliness adds so much too them too!! All of your cards are beautiful! Don't you just love that embossed paper. It's the best - maybe my new favorite. Your sketch interpretations are fantastic! Way to knock out the challenges Pam! I love all the detail you added. Stunning! 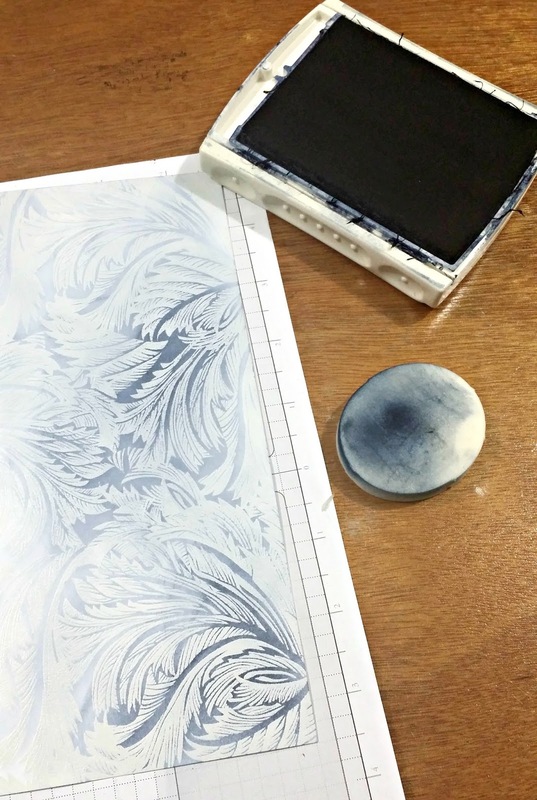 I love the blue ink on the raised print, I'm gonna have to try that. Gorgeous cards! Love the layers!